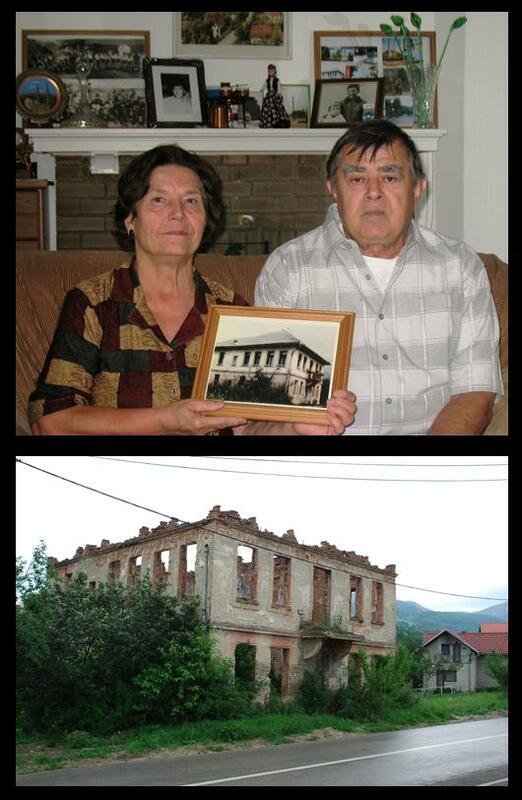 A Bosnian family in St. Louis holds a picture of their home in Bosnia, now destroyed. On the mantle is a photograph of a son who was killed in the genocide. Host Don Marsh talked with three women from former Yugoslavia to help gain insight into Bosnian identity in St. Louis and in the homeland. Ena Selimovic was born in Belgrade, Serbia in 1990 to Bosnian parents. The family went to Turkey when she was just two years old and arrived in St. Louis in 1997. Amila Buturovic and Zenija Halilovic have different experiences. Buturovic left Bosnia in 1986, well before the war began. Now an Associate Professor of Religious Studies and Humanities at York University in Toronto, she specializes in Islamic studies with an interest in the nature of collective memory. “I felt I was in some type of time warp or in some space which I could not really comprehend because I was going through a transition without knowing I could do anything about it and indeed I couldn’t do anything about it,” Buturovic said. Zenija Halilovic thinks of herself as an American, especially after the birth of her five year old son, who was born in the United States. Her family fled Bosnia on her sixteenth birthday and moved to St. Louis in 1997. Check out Tim Lloyd’s report on the Bosnia Memory Project, an initiative at Fontbonne University dedicated to establishing a record of Bosnian genocide survivors, especially those living in metropolitan St. Louis. The folks over at Atlantic Cites have an article up today examining the origins of our sizable Bosnian immigrant population. St. Louis native Kathy Gilsinan writes the piece. Also, check out our Tim Lloyd's series on the city's Bosnian population - click on the "Bosnian community" tag below.